In Christianity, guardian angels are believed to put on earth to guide you, protect you, pray for you, and record your deeds. Learn a little more about how they play the part of your guide while on earth. The Bible teaches that guardian angels care about the choices you make, because every decision affects the direction and quality of your life, and angels want you to move closer to God and enjoy the best life possible. 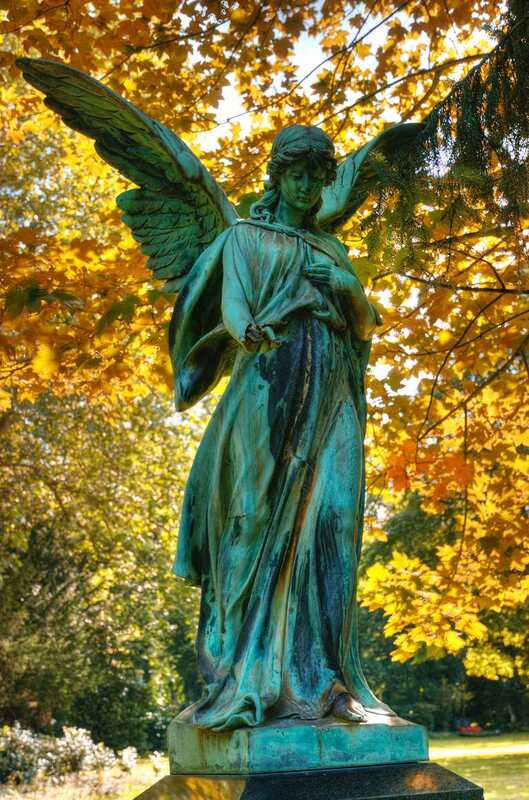 While guardian angels never interfere with your free will, they deliver guidance whenever you seek wisdom about the decisions you face every day. The Torah and the Bible describe guardian angels who are present at people’s sides, guiding them to do what’s right and interceding for them in prayer. 13th-century Catholic priest and philosopher Thomas Aquinas, in his book "Summa Theologica," said that human beings need guardian angels to guide them to choose what is right because sin sometimes weakens people’s ability to make good moral decisions. Aquinas was honored by the Catholic Church with sainthood and is considered one of Catholicism's greatest theologians. He said that angels are appointed to the guardianship of men, that they may take them by the hand and guide them to eternal life, encourage them to good works, and protect them against the assaults of the demons. "By free will man can avoid evil to a certain degree, but not in any sufficient degree; forasmuch as he is weak in affection towards good on account of the manifold passions of the soul. Likewise universal natural knowledge of the law, which by nature belongs to man, to a certain degree directs man to good, but not in a sufficient degree; because in the application of the universal principles of law to particular actions man happens to be deficient in many ways. Hence it is written (Wisdom 9:14, Catholic Bible), 'The thoughts of mortal men are fearful, and our counsels uncertain.' Thus man needs to be guarded by the angels. "—Aquinas, "Summa Theologica"
Saint Aquinas believed that "An angel can illuminate the thought and mind of man by strengthening the power of vision." Stronger vision can empower you to solve problems. In both Hinduism and Buddhism, spiritual beings that act like guardian angels serve as your spirit guide to enlightenment. Hinduism calls each person’s spirit guide an atman. Atmans work within your soul as your higher self, helping you to achieve spiritual enlightenment. Angelic beings called devas guard you and help you learn more about the universe so you can achieve greater union with it, which also leads to enlightenment. Buddhists believe that the angels who surround Amitabha Buddha in the afterlife sometimes act as your guardian angels on earth, sending you messages to guide you to make wise choices that reflect your higher selves (the people they were created to be). Buddhists refer to your enlightened higher self as a jewel within the lotus (body). The Buddhist chant "Om mani padme hum," means in Sanskrit, "The jewel in the center of the lotus," which is meant to focus the guardian angel spirit guides on helping you enlighten your higher self. Outside of Biblical teaching and theological philosophy, modern-day believers in angels have thoughts on how angels are represented on earth. According to Denny Sargent in his book "Your Guardian Angel and You," he believes that guardian angels may guide you through thoughts in your mind to know what’s right and what’s wrong. "Terms like "conscience" or "intuition" are simply modern names for the guardian angel. It is that little voice inside our heads that tells us what is right, that feeling you have when you know you are doing something that is not correct, or that hunch you have that something will or will not work out.”—Denny Sargent, "Your Guardian Angel and You"
Precognition and Angels: How Much Do Angels Know About the Future?